N.S Bennett and Associates are a local family firm of Chartered Surveyors and Estate Agents established in 1961. As owner of the firm I head up a team of myself, Judith, Paula and Michael at our Stanley sales centre with a further Internet backed display branch at Consett and Internet and tele-sales via Chester-Le-Street at www.nsbennett.co.uk and 0191 387 1571. 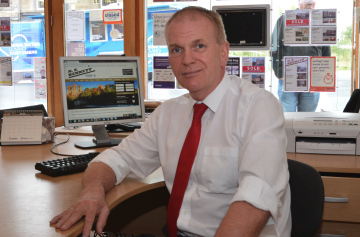 Between us we have approaching 100 years of local estate agency experience and feel that this combined personal knowledge and the commitment of a local owned and run business linked with our prominent, computerised sales centre, display branch and Internet coverage enables us to offer an unrivaled estate agency service in Stanley, Consett, Chester Le Street or Durham. Our aim is to get you the best possible price for your home in the shortest possible time, with the least possible hassle. Selling, buying or letting your home?